One of my favorite stories to share with young children is the Little Red Hen. 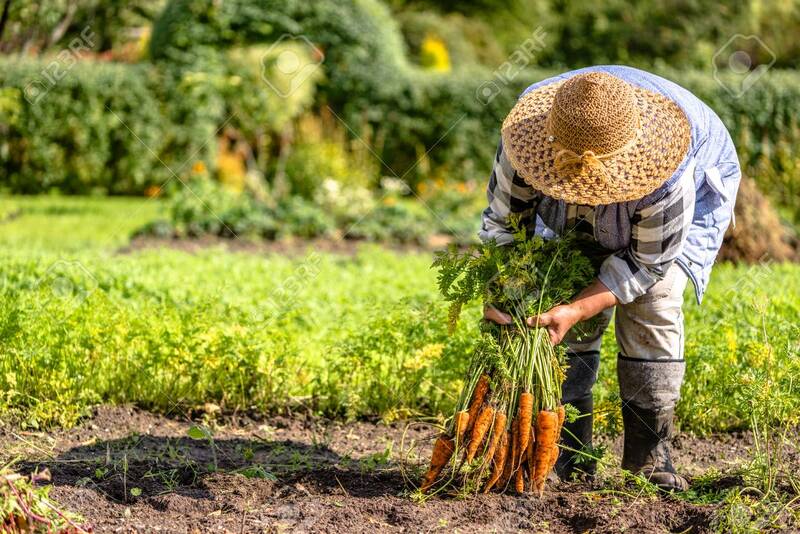 The simple, sweet repetition draws them into the story as the process of transforming wheat to bread takes place, and they love the poetic justice of the ending. I’ve heard adults debate whether such a message is good for children, that the little red hen won’t share her bread at the end. But you can see in the children’s eyes that the story resonates with them — honest work reaps rewards. Young children know this in the very center of their being. They love to work, and to know their work has value. Effort is its own reward. I hope you have a good Labor Day weekend! Place the warm water in a bowl. Add the yeast and 1 tsp of maple syrup. Whisk all three together. Let rest for 5-10 minutes to allow the yeast to activate. If all is well the mixture should get foamy. If it doesn’t, dump it out and start over. Mix together the dry ingredients in a large bowl and set aside. After the yeast mixture is activated, add the olive oil, 1 tbsp. maple syrup, ground flax seeds and psyllium husks to the water-yeast mixture and whisk. Let stand only long enough to let the flax and psyllium release their gelatinous substances — about 1-2 minutes. Whisk again. Pour the wet ingredients into the dry mixture and stir together until thick. 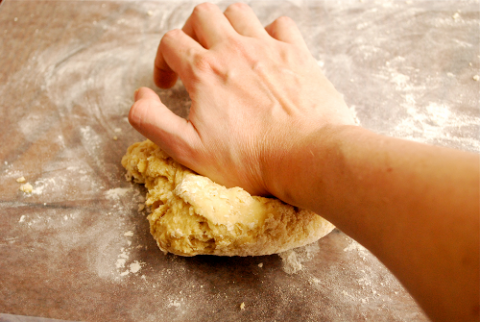 Turn dough out onto a floured wooden board. Add more flour, a little at a time, until the dough holds together and isn’t too sticky. 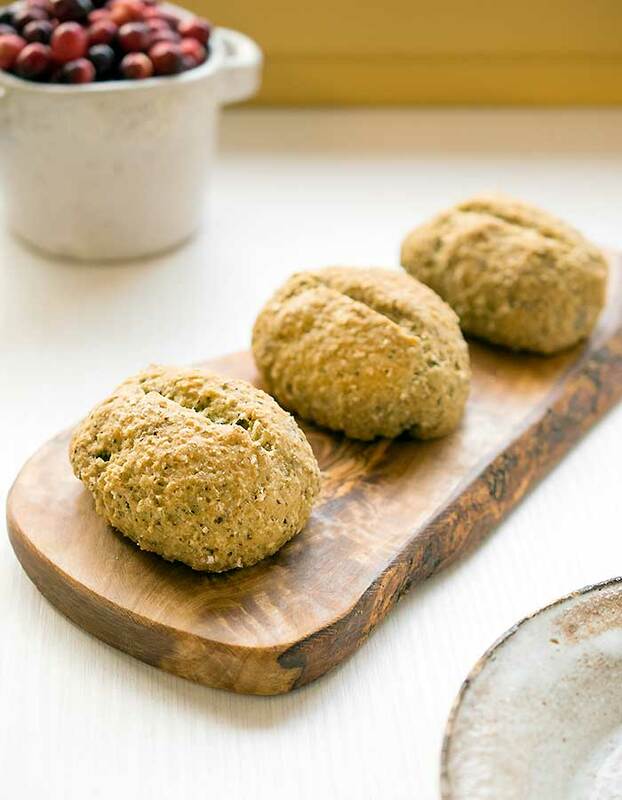 Use rice flour to flour the surface and roll into balls. Place each roll onto a cookie sheet that has been greased or lined with parchment paper. Set in a warm spot to rise for 60 minutes. Preheat the oven to 375 degrees. Bake for 15 minutes or until done. Pamela says: I repeat this rhyme using different colors that I add, or I ask the children … we sometimes have pink and purple ones, but that is part of the fun. 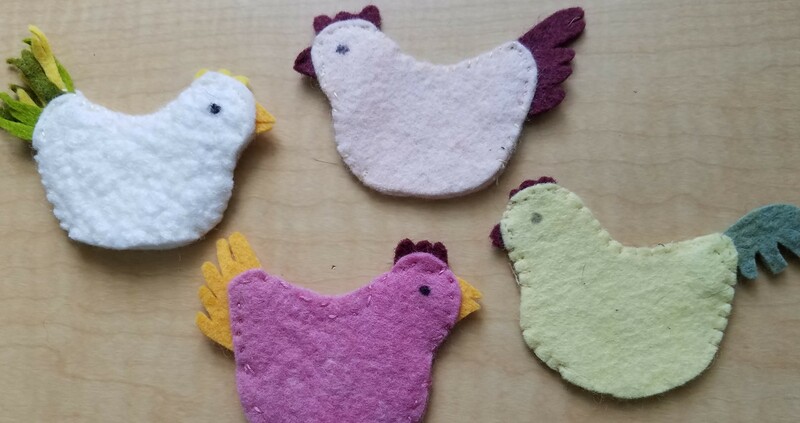 If I have enough little finger puppets for a group, I’ll repeat the rhyme, going around the circle and naming each child’s hen color. Click here for a free downloadable, printable pattern to make these felt finger puppets. When we think of “laboring”, we often think of the process of giving birth. The process of becoming a mother certainly doesn’t end with the arrival of the baby. That’s often when the real labor begins! Thankfully, our friends at Mothering Arts have created a community supported postpartum care plan to guide you in organizing a fully supported “fourth trimester” by tapping into the heart of your community. Click here for more information on this FREE resource for new parents! Register NOW for the New England LifeWays training! Students enrolled by September 8th will receive a $225 Early Bird Discount! Click here for more information! Great question, Kara! I’m not sure about the substitution. If you try something different, let us know how they turn out!